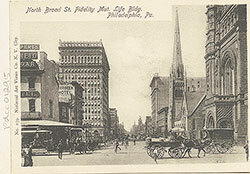 Arch Street, West of Thirteenth Street, 1889. 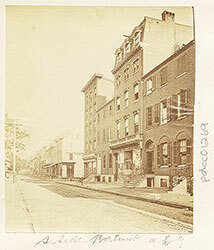 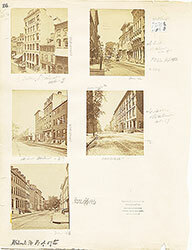 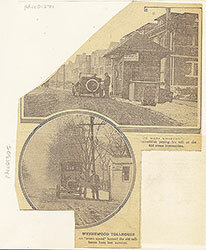 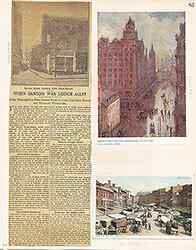 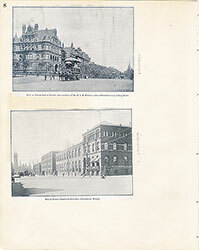 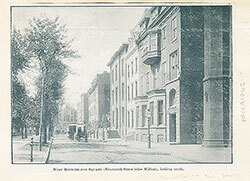 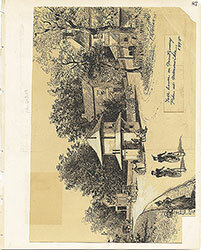 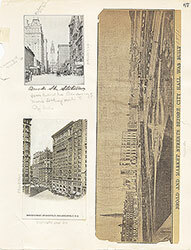 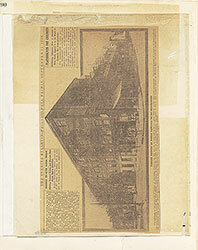 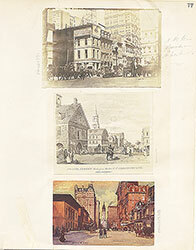 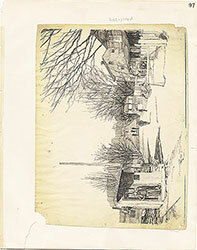 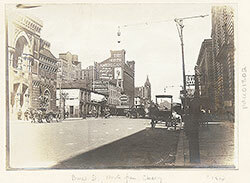 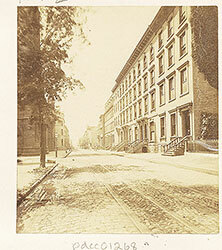 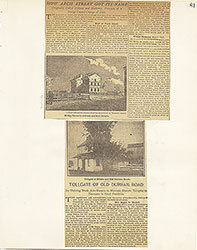 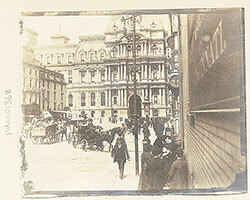 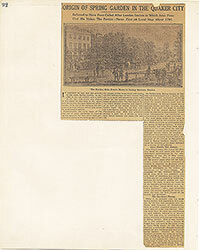 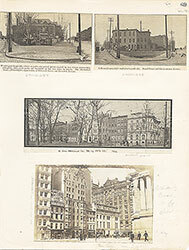 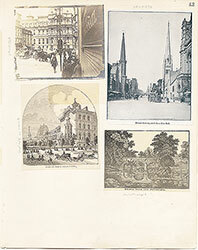 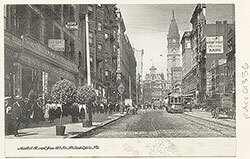 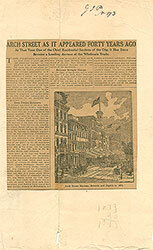 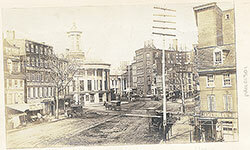 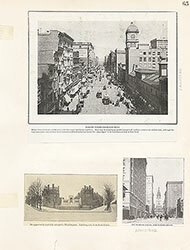 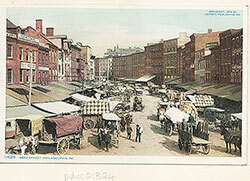 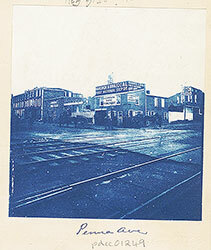 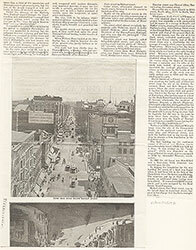 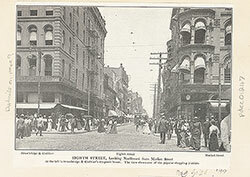 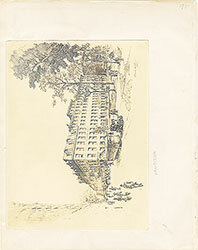 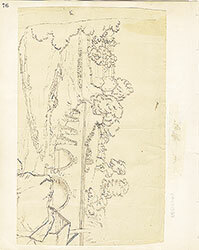 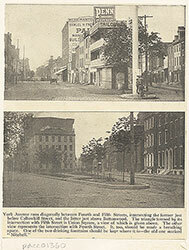 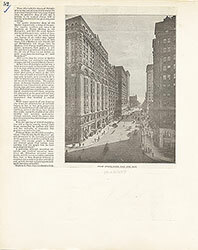 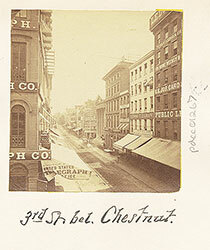 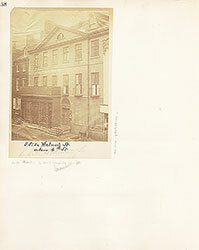 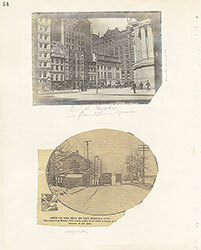 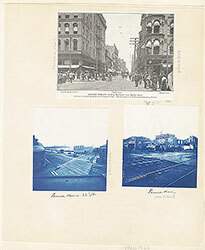 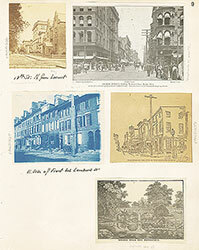 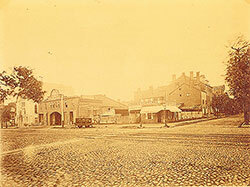 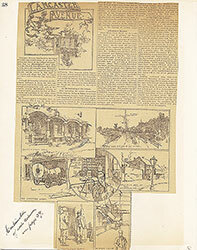 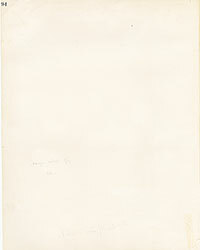 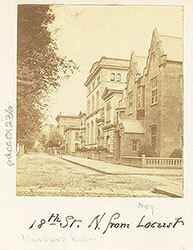 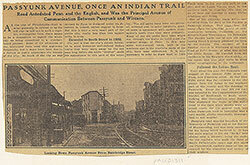 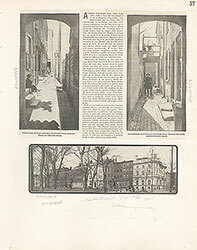 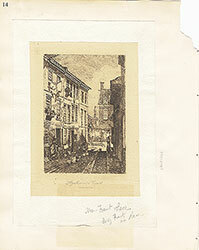 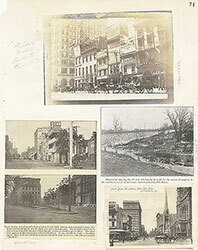 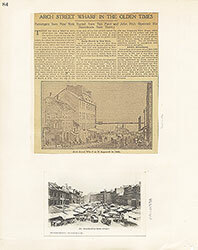 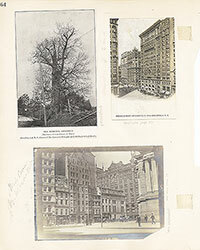 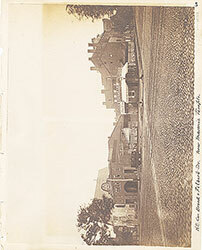 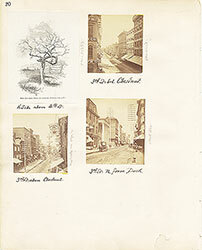 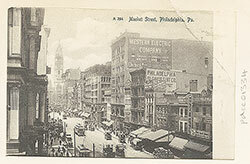 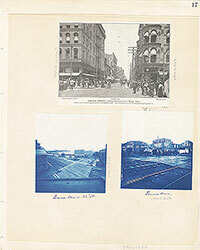 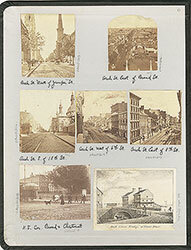 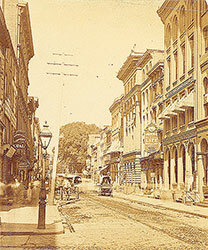 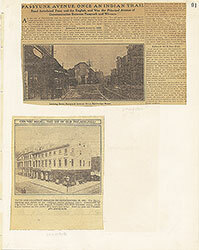 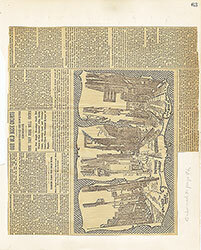 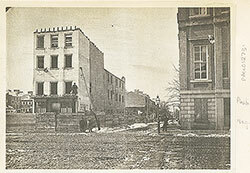 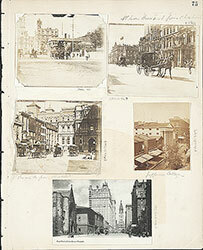 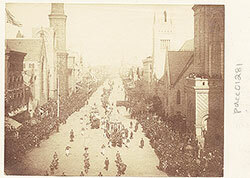 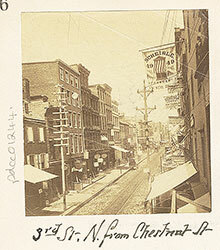 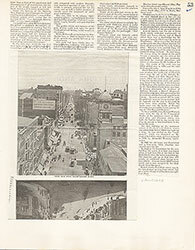 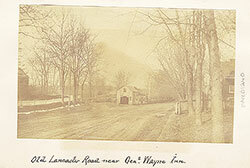 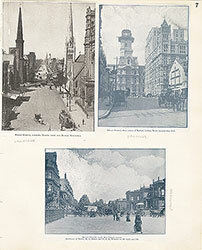 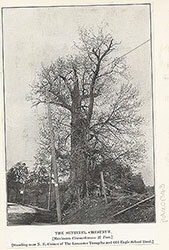 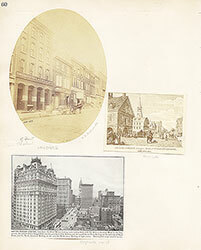 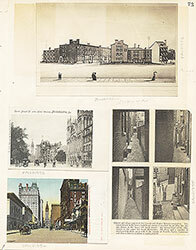 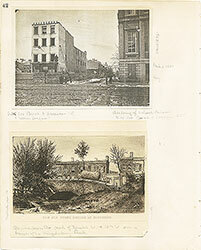 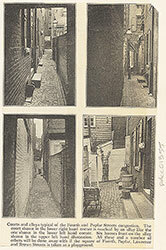 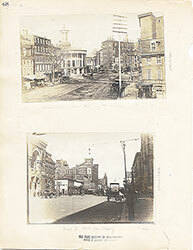 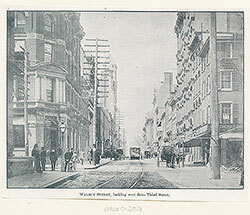 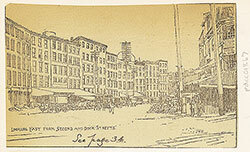 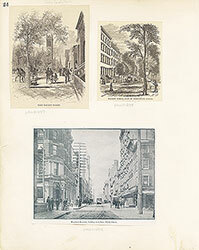 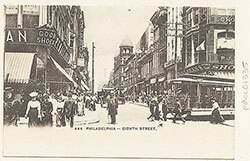 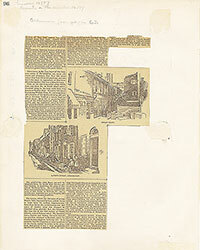 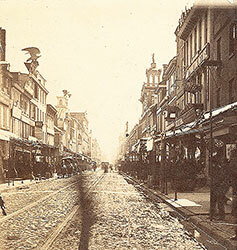 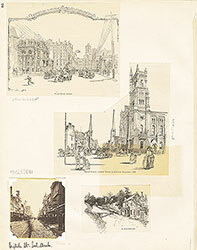 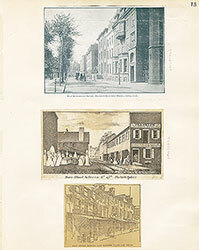 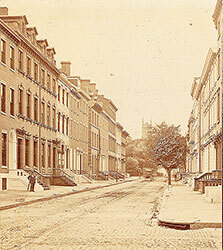 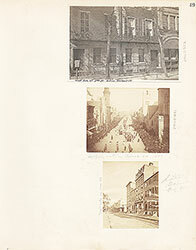 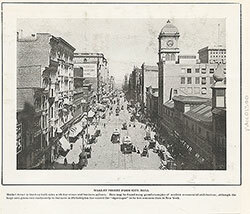 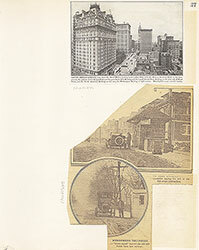 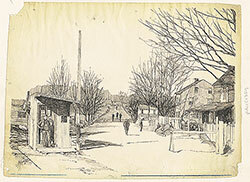 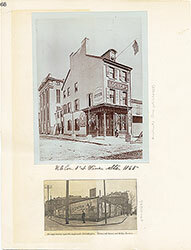 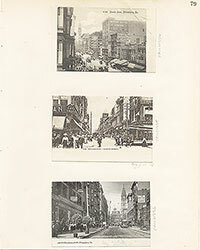 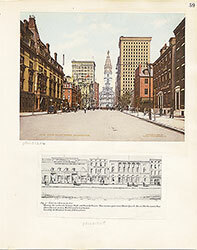 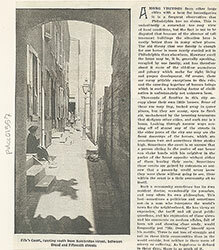 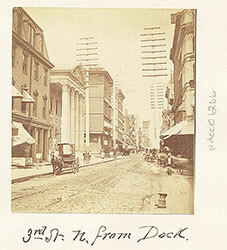 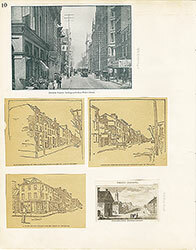 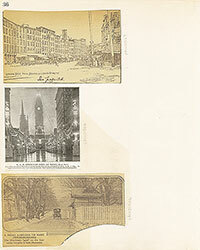 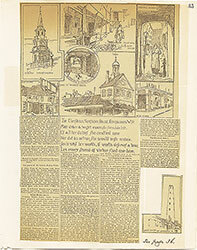 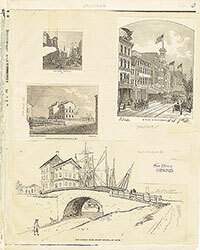 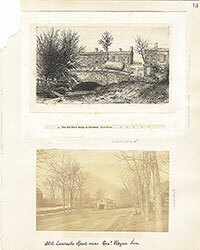 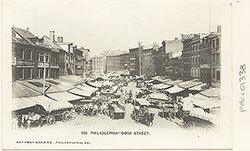 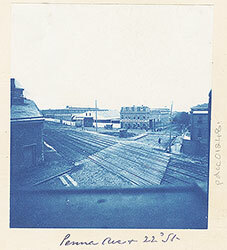 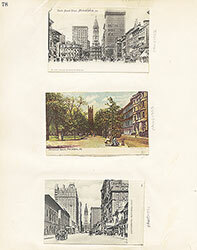 Title: Arch Street, West of Thirteenth Street, 1889. 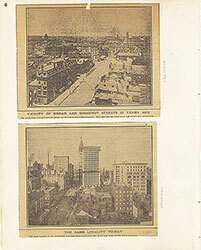 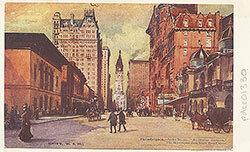 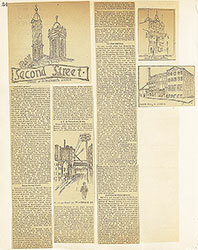 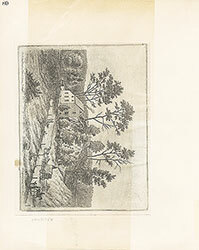 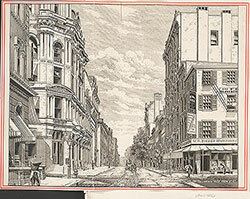 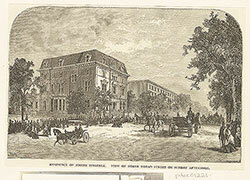 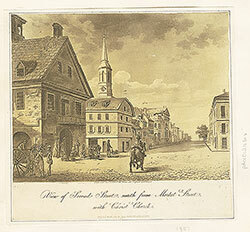 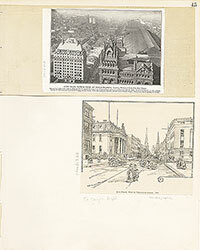 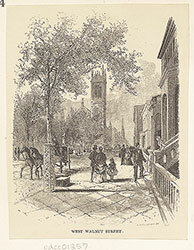 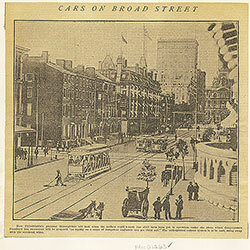 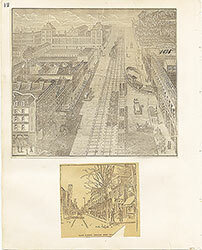 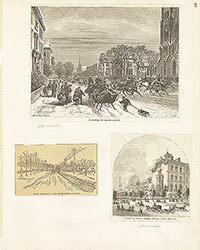 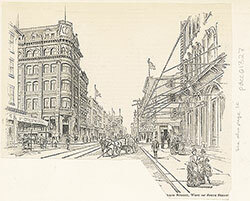 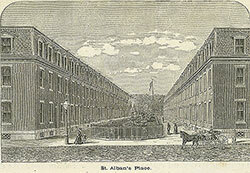 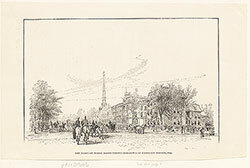 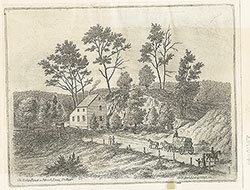 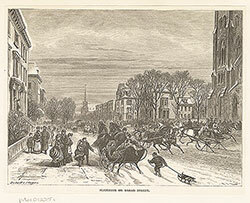 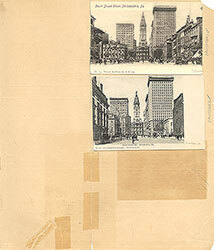 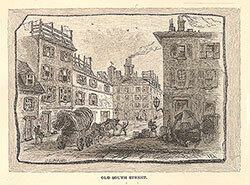 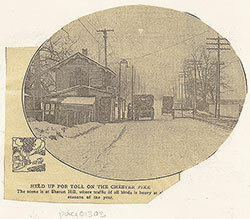 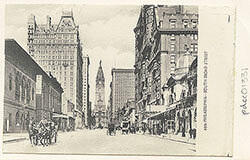 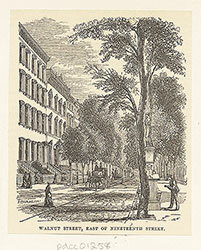 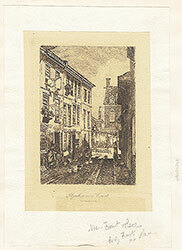 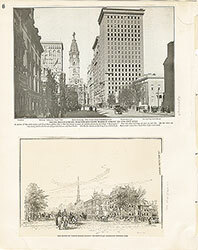 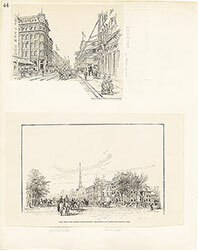 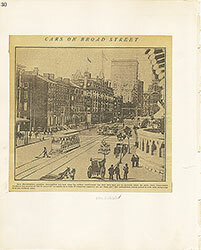 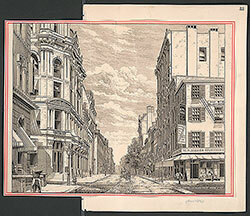 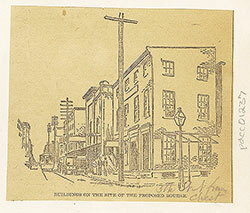 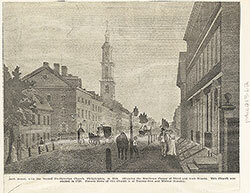 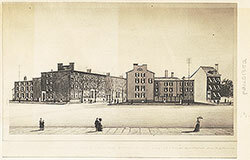 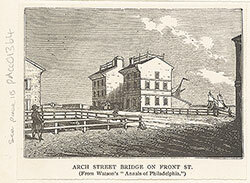 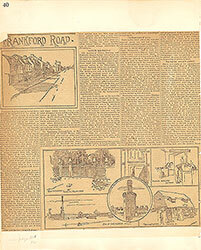 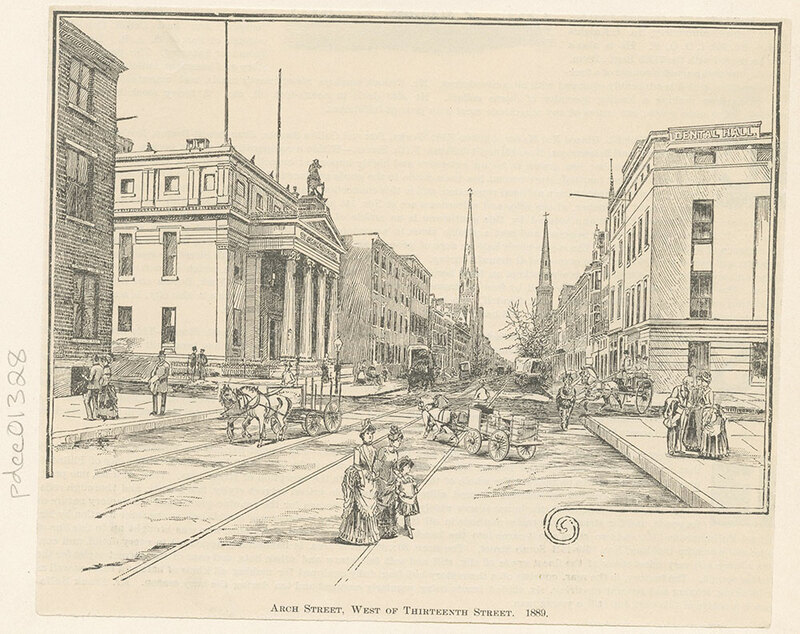 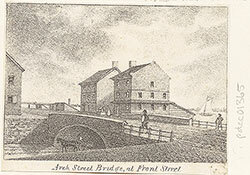 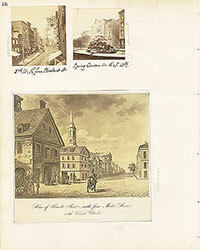 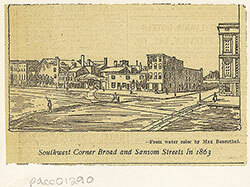 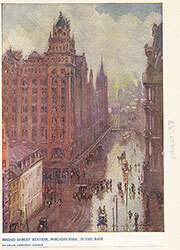 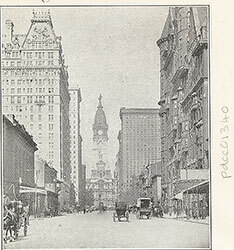 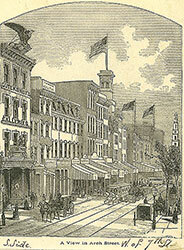 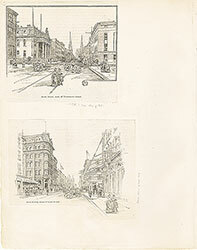 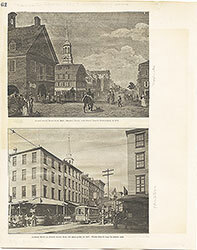 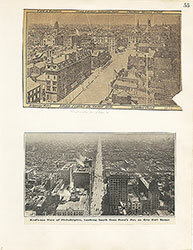 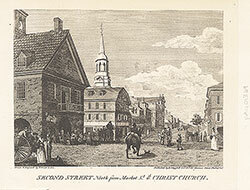 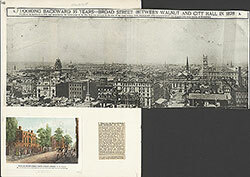 Depicts a view looking west on Arch Street from Thirteenth Street. 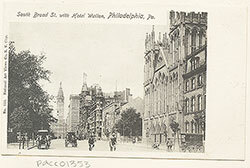 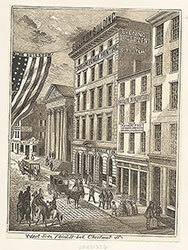 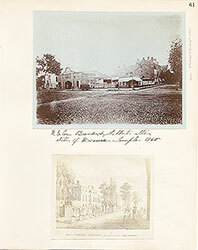 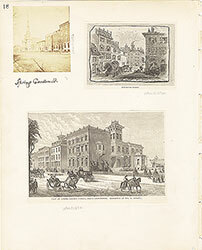 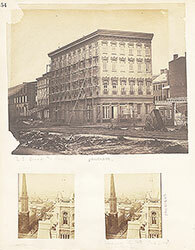 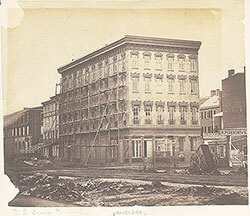 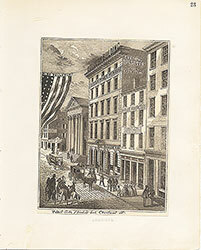 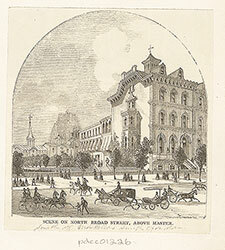 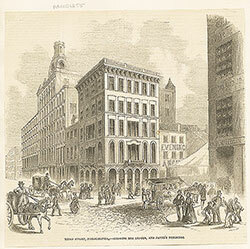 On the left is St.George's Hall, originally the home of railroad executive Matthew Newkirk. 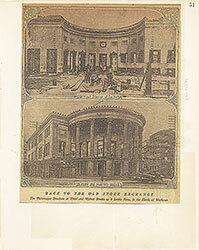 The elegant marble mansion was designed by architect Thomas U. Walter in the 1850s. 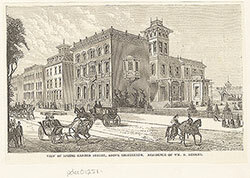 In 1876 it became the headquarters of the Society of the Sons of St. George, organized in 1772 to assist Englishmen in distress in America. 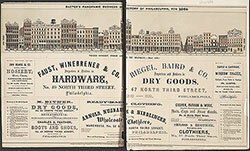 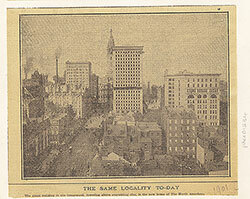 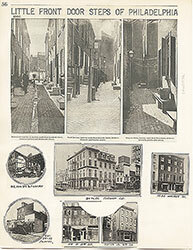 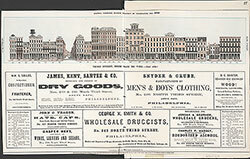 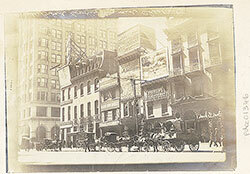 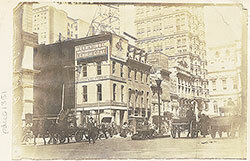 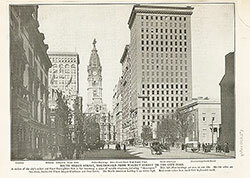 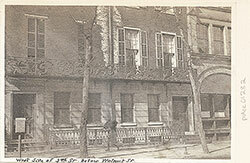 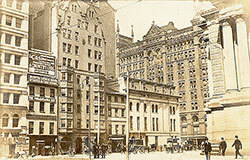 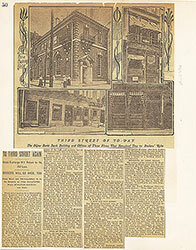 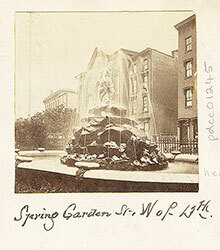 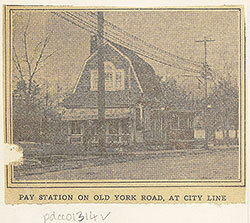 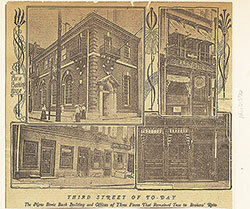 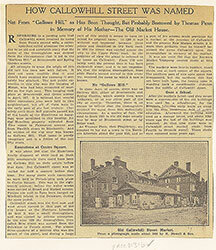 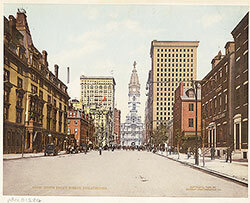 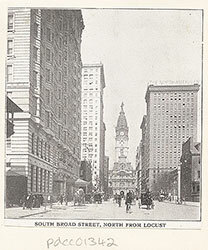 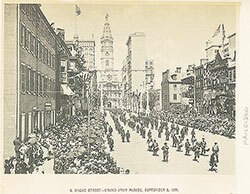 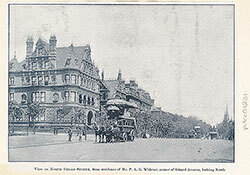 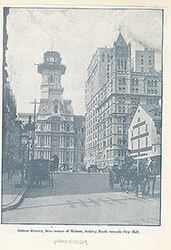 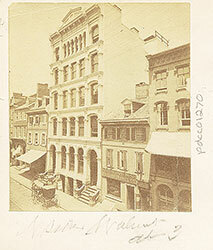 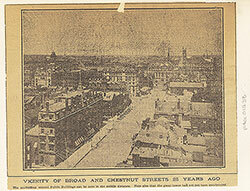 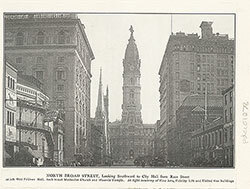 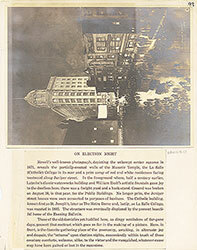 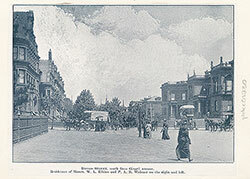 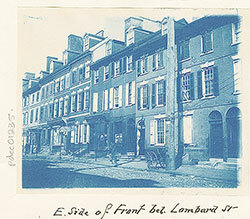 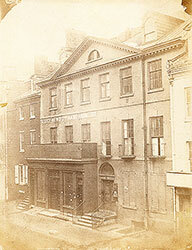 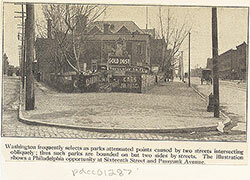 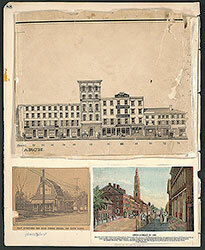 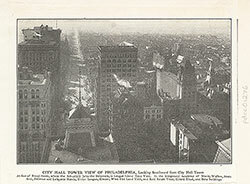 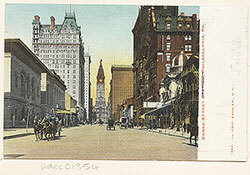 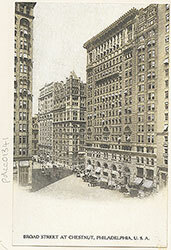 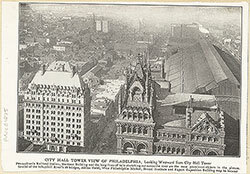 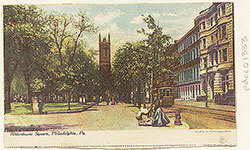 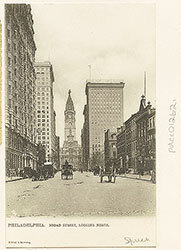 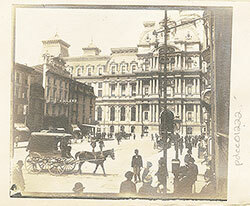 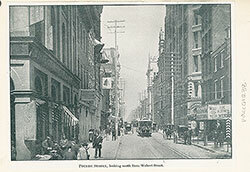 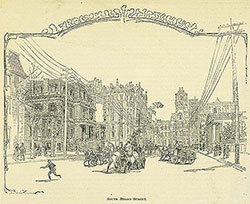 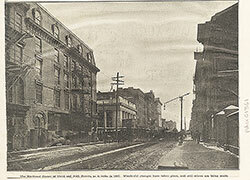 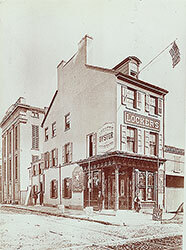 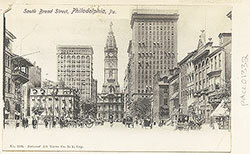 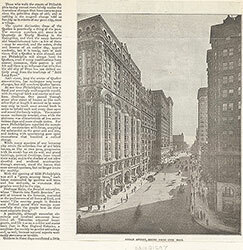 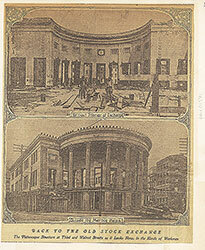 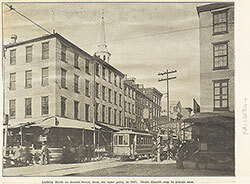 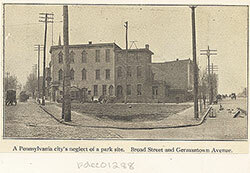 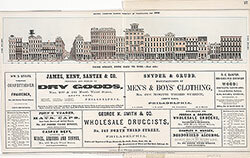 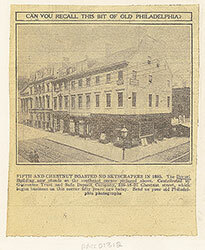 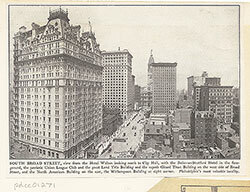 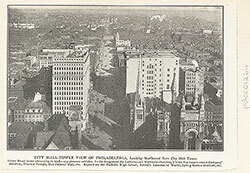 The building was sold again in 1901, when the Society moved to Arch Street at 19th, and was taken down soon after. 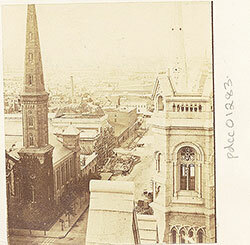 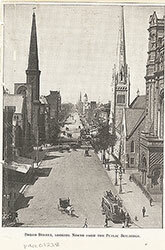 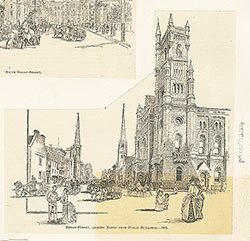 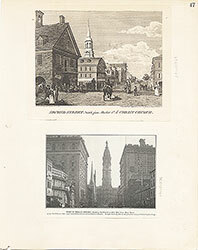 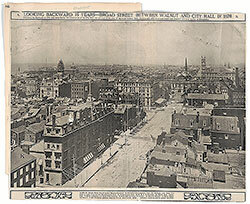 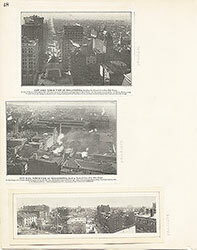 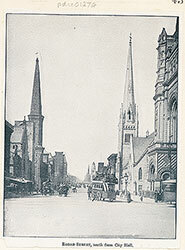 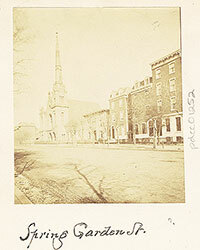 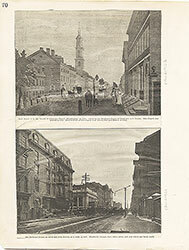 The spires in the distance belong to the Arch Street Methodist Church (left) and the First Baptist Church. 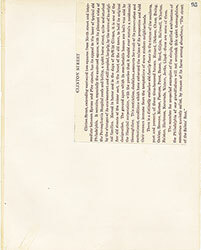 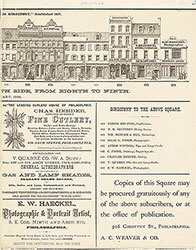 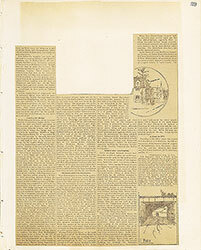 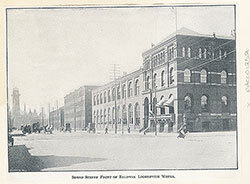 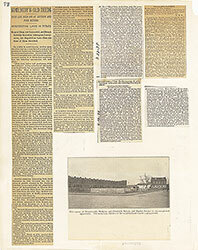 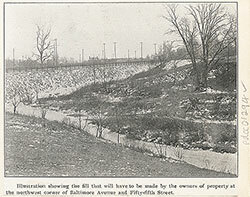 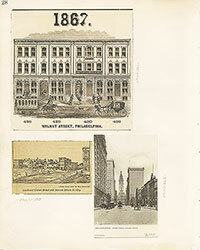 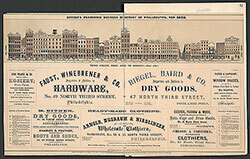 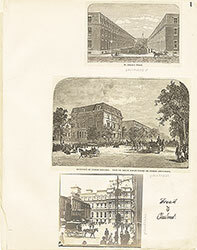 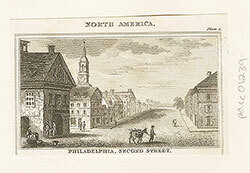 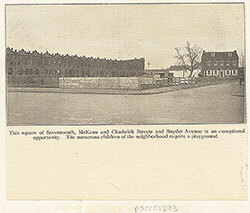 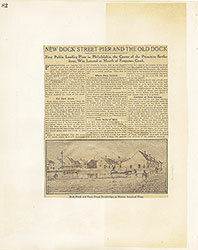 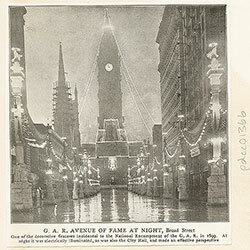 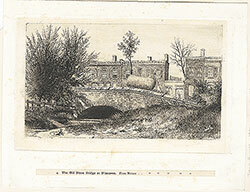 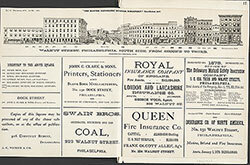 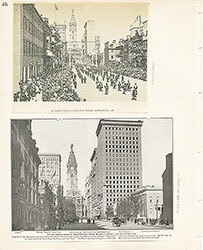 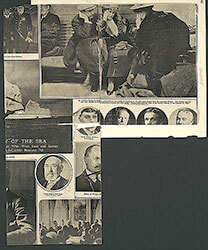 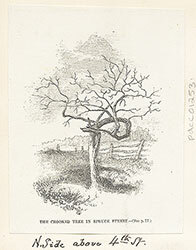 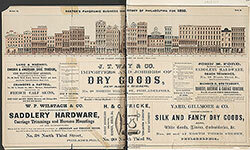 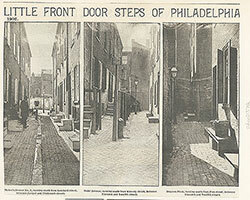 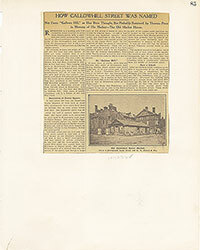 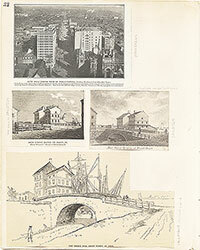 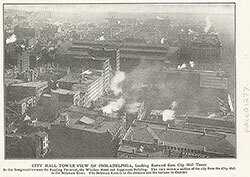 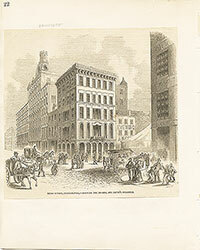 Taken from Illustrated Philadelphia: Its Wealth and Industries. 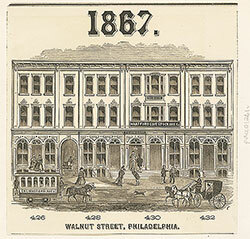 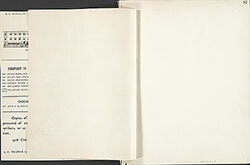 American Publishing & Engraving Co., 1889, p.77.